We have all been in a situation in which we begin to think about the tools we currently use in our business and we ask ourselves, "is there a similar tool out there that we can use to manage this better?" or "is there an alternative online tool we can use to help reduce or eliminate paper based documents?". Well look no further! We’re always looking for ways to make our business and our clients’ businesses more efficient; these tools can do just that. Hold tight while we run you through the top 10 online tools you should be using to make your business more efficient. Ah, LastPass. The King (or Queen) of password management. LastPass is an internet-based password management system that keeps all of your passwords safe and secure for any online account. The key benefit here is that you only have to remember one password and LastPass does the rest. Don’t worry though, LastPass stores your password in a way that makes it technically impossible for even them to see it. It has also been heavily audited and is trusted by some of the largest organisations in the world. Find out more about how LastPass can work wonders for your business by visiting https://www.lastpass.com/. Dropbox is a popular file sharing system which securely stores your files and makes it easy to share them with colleagues and clients. 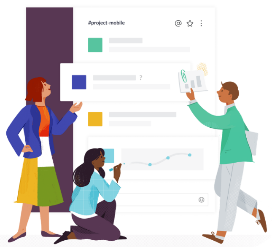 Dropbox Business includes everything your team needs to be productive, including storage to back up files, collaboration tools, version histories for all files, a central hub for team content and advanced security and sharing controls. 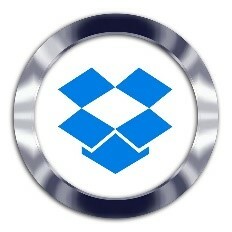 Dropbox Business is famous for its ease of use and has over 500 million users! If you think Dropbox Business will benefit your business, follow this link to try it free for 30 days https://www.dropbox.com/business. Harvest is a simple time tracking tool that the whole team can use to keep business projects on time and on budget. Importantly, it allows you to see how much time has been spent on a project, how much money the project has cost you and then how profitable the project was. Having this data ensures you can find ways to automate time consuming tasks or stop doing the things that do not benefit your business. This helps you to save time and money immediately, rather than by implementing a trial and error process and reaching the same result in the future. Harvest’s timesheets are accessible on all major devices from computers to smartphones, so your team doesn’t have to wait until they are next at work to input the additional time they spend working on a project elsewhere. The timesheets can also be viewed in two formats; on a day-by-day basis in which users can see how much time they have spent on different projects throughout the day, or on a weekly basis which shows current projects and how much time was spent on each one throughout the week. Find out more about how Harvest can benefit your business here https://www.getharvest.com. Harvest users can also take advantage of the Forecast tool which allows team members to schedule the estimated time it would take them to complete a project and it indicates the date and time by which the project would need to be completed. Forecast also shows the team’s availability so team members will know whether to assign additional or fewer tasks to a team member. Xero is an online accounting platform which gives you real time insight into your cashflow, bank balances, P&L statements and much more. If you feel like you need more visibility with your business finances, this is the tool for you. Xero makes it easier for you to run your business and it provides you with peace of mind by automatically backing up your data, provides integration with many other tools to automate workflows and allows you to access all of this on the go. If that’s not enough, Xero also throws in features such as easy invoicing, payroll and claiming expenses into all of their plans, all from as little as £10 per month. 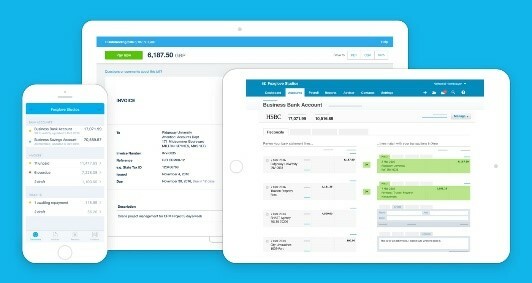 If you would like to know more about what Xero can offer your business, simply follow this link https://www.xero.com/uk/. 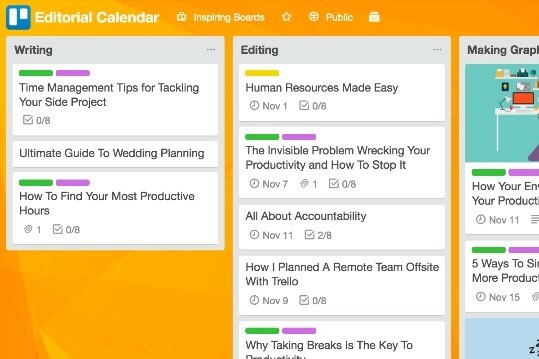 If you’re the type of person who hates clutter in your workspace, keeps losing important sticky notes or has multiple ‘to-do’ lists then you’re going to love Trello! Trello is a project management tool which helps your team to organise work projects, keep on top of upcoming deadlines and find out which stage each project is currently at. The best way to use Trello is to view the project as a journey; start by placing a card in an ‘activities’ column and keep moving the card through the columns as you make progress, until it reaches the ‘done’ column at the end. You can create additional columns and delete or edit any of the existing columns to match your preferences. Above all, Trello provides a simple version of project management which is particularly useful if you have multiple projects on the go, all at the same time. Now it’s time to throw away those sticky notes and give Trello a try at https://trello.com/. Slack is the foundation for teamwork and it is designed to make the workforce more productive with a reduction in stress when communicating with one another, both inside and outside of the workplace. With the ability to create different channels for each project, all slack conversations are focused and kept in one place which makes it quicker and easier to find files, calls and messages. Slack allows colleagues to create and participate in both group and private conversations so they will no longer need to use multiple platforms to get in touch. Slack is free to use, and you can add as many team members as you need. Make your business communication more efficient by downloading Slack here https://slack.com/. Are you wasting time posting individual updates on different social media platforms each day? Use Hootsuite instead! Hootsuite is a fast and efficient tool used to schedule or instantly send all your social media posts onto different online platforms, all from one place. When using Hootsuite, simply select which social media channel(s) you would like to post an update to, and start writing your message. If you select your preferred social media channel beforehand, Hootsuite will tell you how many characters you have left before the character limit is exceeded - this is particularly useful for platforms such as Twitter and their reduced character limit. 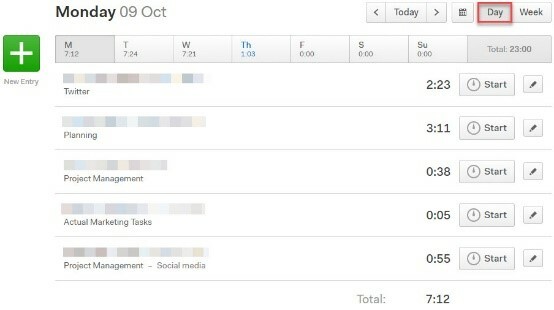 If that’s not enough, you can check your social media analytics at any time and over any duration by using Hootsuite Analytics. This will tell you how many tweets were posted, your engagement for those tweets, traffic accumulated on your selected platform, inbound messages and other useful features such as likes, shares and retweets. You can find Hootsuite here https://hootsuite.com. Pipedrive is an easy-to-use tool which is designed to keep your sales organised. This tool is particularly useful for individuals who are new to sales, as Pipedrive provides the basic knowledge to get started. It is a platform that pushes you to succeed. It is also useful for established businesses with sales teams, as it produces handy reports on sales performance, broken down per month and per staff member. Pipedrive is used by well-known companies - such as Amazon, SkyScanner and Vimeo to keep track of their sales and it gives you the option to try out Pipedrive completely free of charge. If you think Pipedrive is for you, there are multiple plans to choose from so you can find the best plan that suits your business. Follow this link if you would like to give Pipedrive a try https://www.pipedrive.com/en-gb. 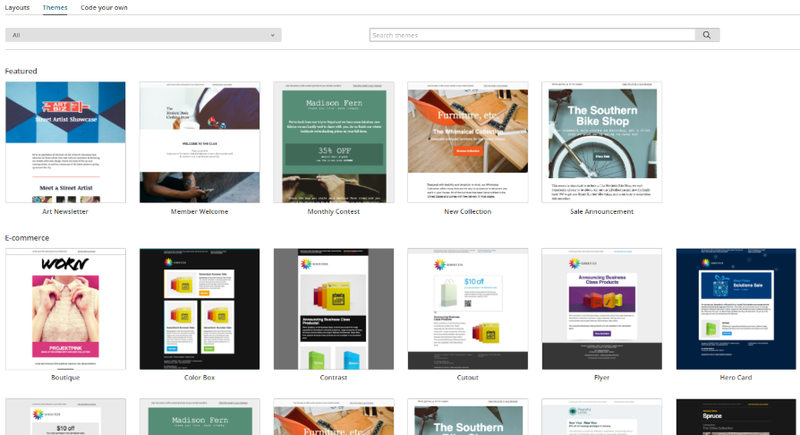 If you haven’t heard of Mailchimp until now, today is your lucky day! Mailchimp is an email marketing tool which allows you to create and automate email campaigns, so you can keep in touch with your clients and prospects more efficiently - all while being GDPR friendly. Mailchimp is designed to save your business time and money by allowing you to schedule or launch a campaign with just a click of a button, on a free and easy-to-use platform. Follow this link to find out more about Mailchimp or to create an account https://mailchimp.com/. Canva is designed for professionals who have little to no graphic design experience, but they still need to post frequent updates with great images on social media. It is free to use and you can create images for all purposes, all in one place. Choose from flyers, to social media posts, to email headers and everything in between and take advantage of the easy-to-modify existing templates, or just create your own! All of your images are saved in Canva - or you can create up to two folders if you wish - and they can be easily downloaded and saved to your cloud based file sharing platform. If you need more than two folders, simply upgrade your account to ‘Canva For Work’ where you can create as many folders as you need. You can even add multiple team members to your account which is very beneficial if you are part of a small online marketing team and you all need instant access to the images without using a memory stick. Give it a try at https://www.canva.com. Now that we’ve given you a quick rundown on what we think are the 10 best business tools that help you to save time and money and to eliminate paper-based processes, which ones are you raring to try? Are you currently using any online business tools that we haven't already mentioned? Whether you are a new business, or you’ve been operating for quite some time, we’re confident at least one of the 10 great tools will make a positive impact on your business. Each tool has very different benefits that are utilised to improve your business processes. This will allow you to provide a better product or service to your customers. Need some professional help, or have a problem that can’t be fixed by a tool above? Call us today on 0191 259 1272 for more information about our digital reviews.